NSW: When are you an unfinancial lot owner? What effect does this have? You are here: Home / Levies / Levies NSW / NSW: When are you an unfinancial lot owner? What effect does this have? This article about levies, unfinancial lot owners and what this means has been supplied by Allison Benson, Kerin Benson Lawyers. The effect is that if you have not paid all the levies / contributions and any other amounts (which would include interest) recoverable from you as at the date of the meeting notice by the actual meeting you are unfinancial and cannot vote. Take for example a meeting notice dated 14 February 2018 for the meeting to be held on the 7 March 2018 where levies were due on the 1 March 2018. The lot owner only has to have paid everything owed as at 14 February 2018 before the 7 March 2018 meeting. They do not have to pay the 1 March 2018 levies before the meeting. This post appears in Strata News #183. This article has been republished with permission from the author and first appeared on the Thoughts from a strata lawyer website. 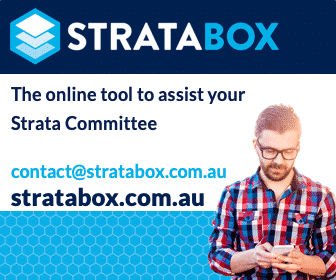 Visit Your Strata Levies OR NSW Strata Legislation. what happens if the Strata Committee member is un-financial but the person who nominated them is financial, can they still vote?